Dr. Zein Obagi, a Beverly Hills dermatologist, has introduced a cosmetics line that makes professional skin care available for at home. The ZO Skin Health products contain more active ingredients, concentrated formulas and better delivery systems than any other skin care line. Do you want an Obagi product for at home? Then stop by our clinic or order it online in the Van Lennep ZO Skin Health webshop. The ZO Skin Health products aim to make skin healthy and keep it that way. Skin problems such as redness (rosacea) / acne / wrinkles and lines / mask of pregnancy (melasma) / pigmentation spots are addressed and treated effectively. Obagi Products are available for your face, but also for your body and hands. You can find all of the products in the Van Lennep Kliniek webshop. The products from our webshop are supplied by the official distributor of Obagi Medical Products, ZO Skin Health, ZO Medical. HydraFacial is the most effective and revolutionary beauty treatment at the moment. A unique collaboration between dermatologist Dr. Zein Obagi and HydraFacial has resulted in a unique product: HydraFacial Brightalive Booster serum. The serum provides a clear reduction of pigmentation spots and gives the face a healthy even complexion. Due to an accumulation of sebum and dead skin cells, the sebaceous gland becomes blocked. The way out is blocked and the gland fills. Black dots, white bumps, mostly inflamed; acne. The ZO Skin Health treatment reduced sebum production. Inflammation and coarse pores are also reduced. 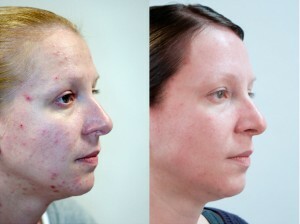 Often an improvement can be seen after the first treatment. However, we recommend several treatments for the best result. A treatment plan is drawn up for the treatment, especially tailored to your needs. First the face will be cleansed with a mild cleanser. Then the peeling will take place to remove dead skin cells. The sulfur maker will cleanse and calm the skin. The deep cleaning ensures the removal of blackheads and inflammations. Finally, a ZO cream is applied, matching the skin needs. An insufficiently hydrated skin has no shine, has no suppleness and looks dull. A dried out skin needs to be hydrated. First of all, the skin is cleaned. After the cleansing and exfoliation, the ZO Aloe Hydra Masque is applied, with herbal extracts and amino acids. Red discoloration, inflammation will decrease. DNA-repairing enzymes and hydratants penetrate the skin. A sun protection has been added. This treatment from Dr. ZO Skin Health. Obagi, is ideal for tired, dull and dry skin. Effective with a pale complexion or smoker’s skin. Also very effective for pigmentation and skin discoloration. Treatment begins with a moisturizing cleaner and a mild cleansing. The different acids (glycolic acid, citric acid & lactic acid) ensure equalization of the pigment. The brightening complex prevents the formation of new pigment. For further clarification of the skin, the ZO Skin Brightening Sheet Masque is applied. This minimizes the production of the excess pigment whereby the skin is simultaneously hydrated. Finally, the skin is provided with powerful ZO antioxidants and coenzymes. A sun protection is also applied to inhibit the production of the pigment and stimulate the production of healthy skin cells. Uses ZO Skin Health since December 2013. I’ve had difficult skin all my life. Both on my mother’s and father’s side there’s a lot of allergies and eczema. I even used to have a fierce reaction to foods such as strawberries and bananas, which often gave me hives. About 2 years ago I went to my GP who gave me a lotion for my skin, but it had no effect. Then I was referred to a dermatologist, who designed a treatment plan for me. I had to wash my skin with a bar of soap, apply Differin and use a Vaseline-like cream. After two weeks my eyes were swollen and my skin was damaged, so in the end, I decided to call it quits. I was prescribed a few more remedies but stopped using them too, none of them helped me. When I was introduced to the products from ZO Skin Health I was skeptical but also hopeful. With the help of the skin therapist, I started working my way towards healthy skin. In the beginning, my skin did get a bit red and started flaking, but once I added a comfort product to the mix, things went much better. If I look at the photos now, it’s almost unbelievable how beautiful my skin has become. It’s as if I’m looking at two sisters, but it’s really me. Sometimes I’m a blonde, at other times I have dark hair. I’m really glad that my boss made me aware of the products of Dr. Zein Obagi. His philosophy and treatment method are truly unique.